"Segerstrom Center for the Arts, previously called the Orange County Performing Arts Center, presents a wide variety of the most significant national and international productions of music, dance and theater to the people of Southern California. It is committed to supporting artistic excellence on all of its stages and offering unsurpassed experiences, engaging the entire community in new and exciting ways through the unique power of live performance and an array of inspiring programs. 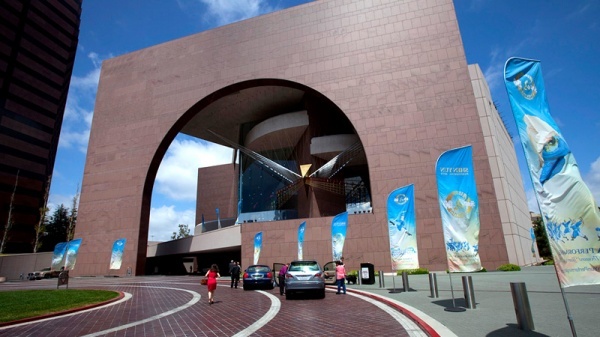 As Orange County’s largest non-profit arts organization, Segerstrom Center for the Arts owns and operates the 3,000-seat Segerstrom Hall and intimate 250-seat Founders Hall, which opened in 1986, and the 2,000-seat Renée and Henry Segerstrom Concert Hall, which opened in 2006 and also houses the 500-seat Samueli Theater, and the Lawrence and Kristina Dodge Education Center’s studio performance space and Boeing Education Lab. These state-of-the-art facilities are united by a spacious arts plaza. The name of the Center was changed from the Orange County Performing Arts Center to Segerstrom Center for the Arts in January, 2011 in recognition of the unparalleled generosity and leadership of the Segerstrom family. The campus includes all of Segerstrom Center’s own venues as well as the adjacent Tony® Award-winning South Coast Repertory and a site designated as the new home of the Orange County Museum of Art. The Center presents a broad range of programming each season for audiences of all ages from throughout Orange County, and beyond, including international ballet and dance, national tours of top Broadway shows, intimate performances of jazz and cabaret, contemporary artists, classical music performed by renowned chamber orchestras and ensembles, family-friendly programming, free performances open to the public from outdoor movie screenings to dancing on the plaza and many other special events. It offers many education programs designed to inspire young people through the arts. These programs reach hundreds of thousands of students of all ages with vital arts-in-education programs, enhancing their studies and enriching their lives well into the future. Segerstrom Center for the Arts is proud to serve as the artistic home to the region’s major performing arts organizations: Pacific Symphony, the Philharmonic Society of Orange County and the Pacific Chorale." Segerstrom Center for the Arts is located in the heart of the Orange County Theatre District, just East of South Coast Plaza. Segerstrom Center can be easily reached from either the 405 or the 55 Freeways, with signage directing you to the Center. There are several parking garages adjacent to the Center.The closest parking structure for visitors to Segerstrom Hall and Founders Hall is located at the Center Tower Parking Structure, adjacent to Segerstrom Hall on Sunflower Avenue between Avenue of the Arts and Park Center Drive. Current rates for performance parking are $10 (cash only). Please note that the Center neither owns nor operates any of these parking garages, and rates are subject to change.Limited street parking is available for patrons visiting the box office. There are several parking garages adjacent to the Center.The closest parking structure for visitors to Segerstrom Hall and Founders Hall is located at the Center Tower Parking Structure, adjacent to Segerstrom Hall on Sunflower Avenue between Avenue of the Arts and Park Center Drive. Current rates for performance parking are $10 (cash only). Please note that the Center neither owns nor operates any of these parking garages, and rates are subject to change.Limited street parking is available for patrons visiting the box office. The primary box office, located in Segerstrom Hall, can be easily reached by taking Bristol to Town Center Drive and parking in the roundabout. The Center's primary box office is open daily from 10am to 5pm with the box office remaining open until one half hour after curtain time on performance evenings.